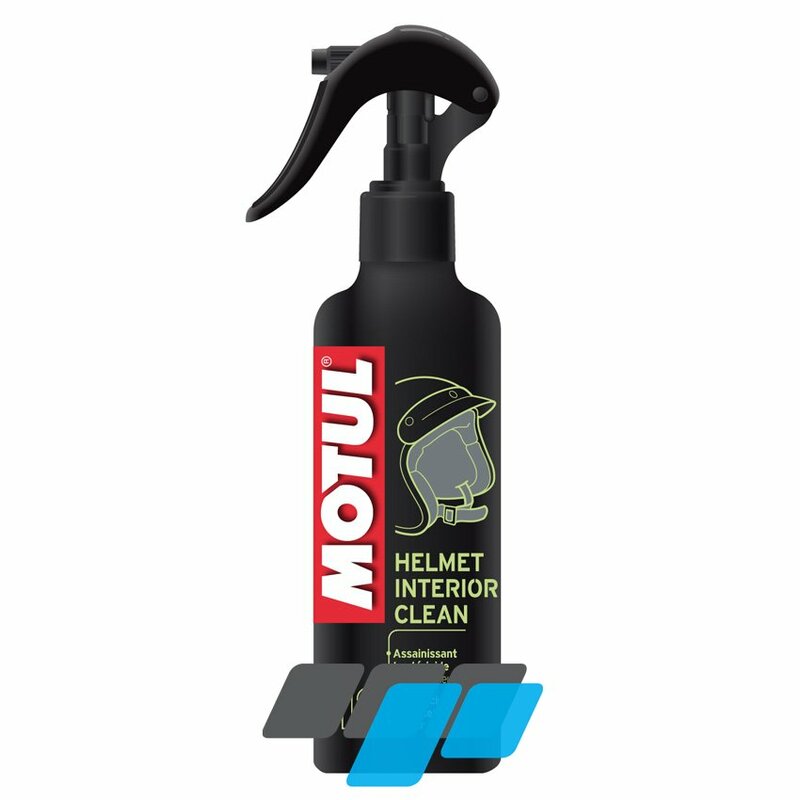 Motul M2 Helmet Interior Cleaner is a bactericidal sanitizer for cleaning the interior of motorcycle crash helmets. Thoroughly cleans and neutralises unpleasant odours. Non-irritating to the skin, dermatologically tested. Available in 250ml manual pump action spray can.